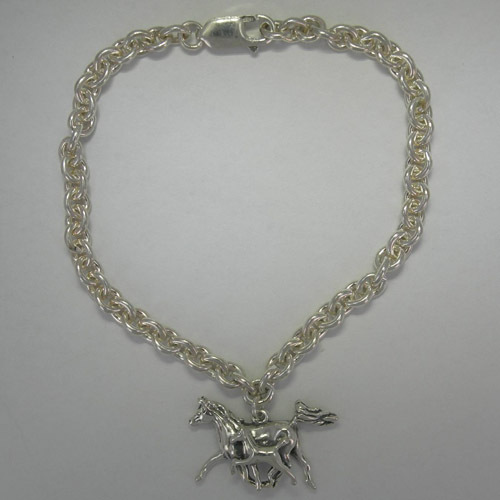 Desc: Sterling Silver Arabian mare and foal charm bracelet. The bracelet is cable link and has a lobster claw clasp. 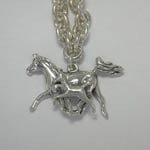 The single charm is fashioned to resemble an Arabian mare and foal galloping. The bracelet has a bright polish finish and is made in the United States of America.